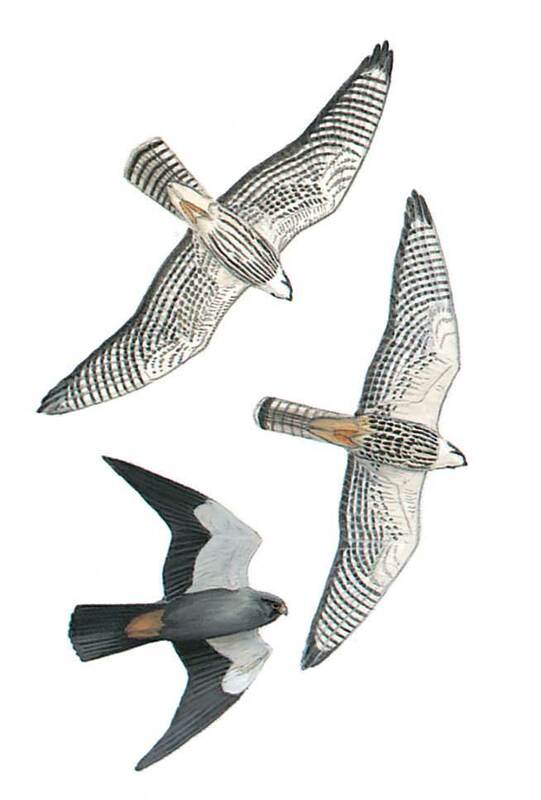 Male has a dark crown, mantle and leading edge to wing with white underwing-coverts. Female white below except for warm buff thighs and streaked breast, boldly barred flanks and lightly spotted underwing-coverts; dark crown and short moustache contrast with white cheeks. Crown is dark grey.